Chain Link Fence Manufacturers Institute Member Directory & Products and Services Locator. Summary: Allied provides a variety of Consulting services that involve Fence, Pipe, and Galvanized Wire products, Perimeter Security, Forensic and Product Analysis, Business Brokerage and Valuations. Summary: Ameristar is the largest manufacturer of ornamental fence and perimeter security products in the world. Ameristar’s framework is known for high quality and product performance. Summary: Bergandi's line of Chain Link Weavers are known worldwide for quality, high production speeds, and moderate pricing. Other machinery offered by Bergandi are barbed wire machines, razor barbed tape machines, and PVC extrusion lines. Summary: Distributor of chain link fence materials. Manufacturer of ornamental steel fencing, chain link, gates, horse corrals. 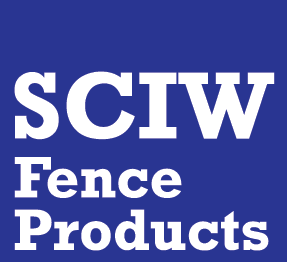 Distributor of PVC fencing and access control products. Summary: Circle A Fences is a highly-reputable supplier of a wide selection of fencing materials and supplies for residential and commercial clients in Metro Atlanta area since 1970. Website: Eastern Wholesale Fence Co., Inc.
Summary: Iron World Manufacturing is the fastest growing fence manufacturer and distributor of decorative and ornamental iron fencing, aluminum fencing, slide and swing gates, and chain link fencing in the country. Summary: Consulting. Design. Technical Assistance. 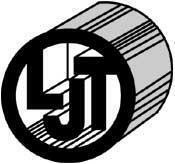 Summary: Wholesale distributor/manufacturer of Chain Link fence and steel products. Pacific Fence and Wire Co.
Summary: Manufacture, wholesaler, distributor, installation, chain link, ornamental, vinyl, fittings and custom gates. Summary: We are an independent, family-owned manufacturer of fencing products. We produce but not limited to: Polymer PVC, galvanized, aluminized chain link, heights up to 22’, minimesh, coated and fabricated posts. Summary: Since 1964, with locations in PA, NY, OH. Full line fence distributor and manufacturer of chain link and all sizes and types of gates. Summary: Manufacturer of chain link fabric for shipment in truck-load quantities. Available in smaller quantities from local distributors. Summary: We are the largest independently owned fencing wholesaler, distributor and manufacturer in the states with locations in 13 states. Summary: Chain Link manufacturer: 1/4" to 2 1/4 " mesh, up to 50' high. Security & anti-climb-mesh. Fused Bonded & Extended Bonded in variant colors. Galvanized, Aluminized, Aluminum, & stainless steel wire. Summary: We offer complete product line in chain link fence and ornamental frame work, for residential, light and heavy commercial use.